India was a blessed nation for thousands of years, it has had a good history of Pluralism and inclusion, all that is changing now with the right wing government who do not tolerate interfaith marraiges and carry out harassment and even killing. All this will change, badness never lasts. MUMBAI, India (RNS) — When a Muslim man and his wife — born and raised a Hindu — fell in love after meeting online, they knew there would be trouble from their families. She left her home in south India last July and moved to Mumbai to get married, stating in an affidavit that she was converting to Islam.Over the next few months, she continued to face pressure from her parents and filed a complaint with the local police against her father for threatening to kidnap her. At one point, unknown men even attacked the home of the couple, who, fearing for their safety, do not want their names used in this story. In December, when the couple was out at a nearby mall, some men — suspected by the husband to be acting at the behest of his in-laws — picked up his wife and drove off with her in a car. He registered a fresh case with the police and then filed a petition in the Bombay High Court through his advocate Hasnain Kazi, seeking that his wife be returned. They were reunited in early February, and her family has now started to come around. Such incidents are part of a wider pattern in India, where interfaith and intercaste couples are increasingly facing bullying, harassment, familial opposition and even death threats. In February, a Facebook page calling for violence against more than 100 Muslim men who had married or were dating Hindu women was taken down after an online outcry. The same month, Ankit Saxena, a Hindu man, was killed in Delhi, allegedly by relatives of his Muslim girlfriend. Some of the alleged assailants were arrested later. In December, Hindu right-wing groups barged into an interfaith wedding celebration just outside Delhi. Such incidents have consistently been reported across states including Madhya Pradesh, Kerala and Uttar Pradesh. Interfaith and intercaste couples have never had it easy in India, but since the Bharatiya Janata Party was elected in 2014, the atmosphere has become increasingly polarized. Government data recently made available in Parliament show that the number of incidents of interreligious violence in 2017 (822) was higher than in 2016 (703) and 2015 (751). These increases have been accompanied by growing anti-Muslim rhetoric. Sometimes interfaith couples commit suicide, driven by the pressure. And in India, which continues to be a highly stratified society, “honor killings” in interfaith and intercaste marriages have been reported. In 2016, in one of the most high-profile cases, a man from Kerala, KM Asokan, filed a missing-persons report after the disappearance of his daughter Akhila. 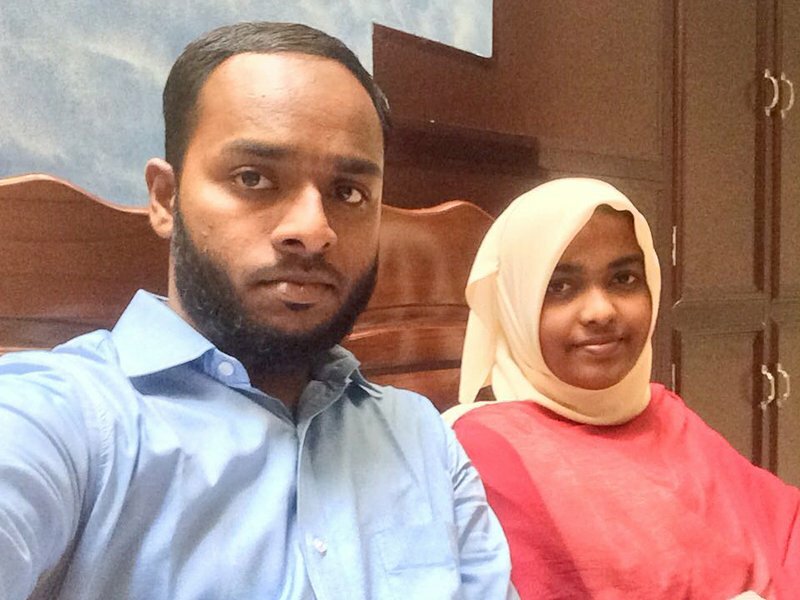 When she appeared before the Kerala high court, she said she had changed her name to Hadiya and had chosen to convert to Islam and marry a Muslim man, but her father contended she had been indoctrinated. Last May, the court annulled the marriage and handed over the daughter’s custody to her father. Though voluntary conversion is legal in India, it is often fraught with problems. 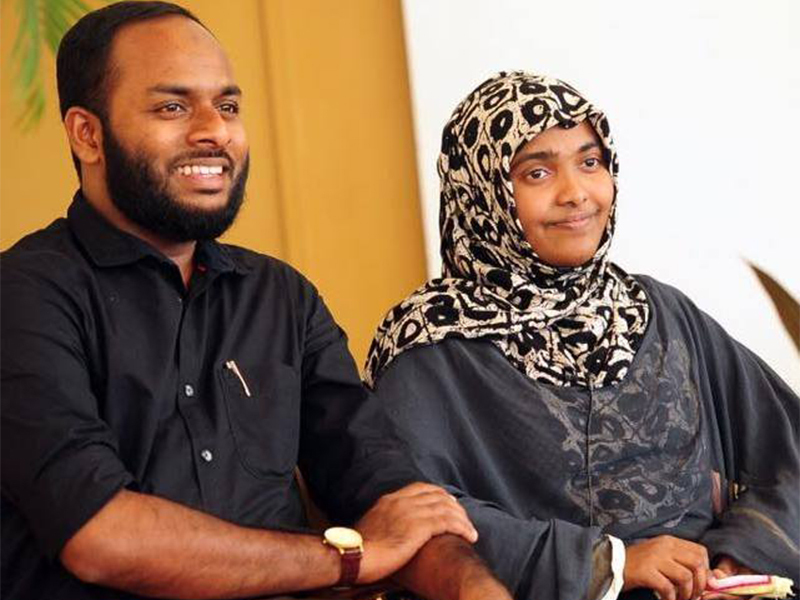 Later the matter was taken to the Supreme Court, which set aside the annulment and ruled that Hadiya was an adult and the court couldn’t decide the validity of the marriage. The case raised the specter of the “love jihad,” the claim by some Hindus that Muslim men seduce Hindu women in order to convert them to Islam. The term was first widely used in 2009 when the Kerala high court ordered an inquiry into whether there was a large-scale conversion campaign. Police reports said that was not the case, but the phrase has in the past few years acquired a renewed currency. “Ever since 2014, the issue of love jihad has been resurfacing,” said Pratik Sinha, co-founder of Altnews.in, which calls itself an anti-propaganda news site. Altnews first published the story about the Facebook list on Hindu-Muslim couples on Feb. 4, and the page was taken down soon after. “During volatile times, these kinds of lists can be misused and people targeted,” said Sinha. Earlier this year, the Supreme Court of India said no one could interfere in a marriage between two consenting adults, while admonishing khap panchayats, or community groups that operate as quasi-judicial bodies and often rule on marriages. In an earlier judgment in 2011 the court had recommended suspension and investigation of high-ranking officials who failed to act against the perpetrators behind so-called honor killings. Love Commandos says it has helped thousands of couples since 2010 and provides legal help and shelter for those who need it. For some though, there might be happy endings despite the strife.